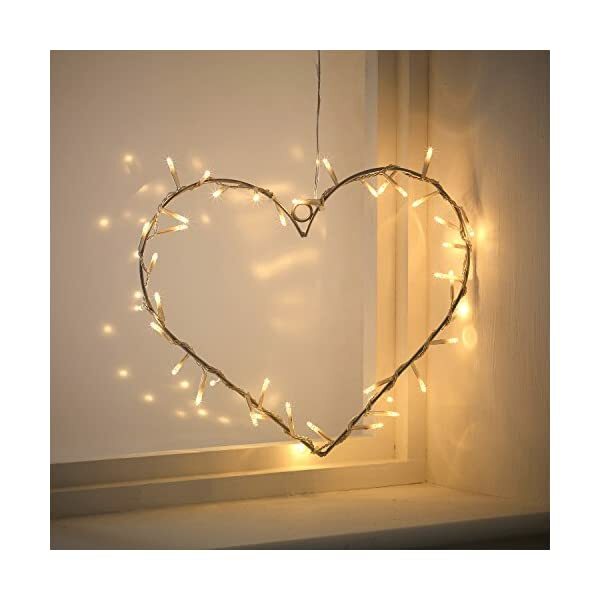 This beautiful heart shaped fairy light wreath is the perfect wedding or home decoration and also makes a gorgoeus gift for loved ones. 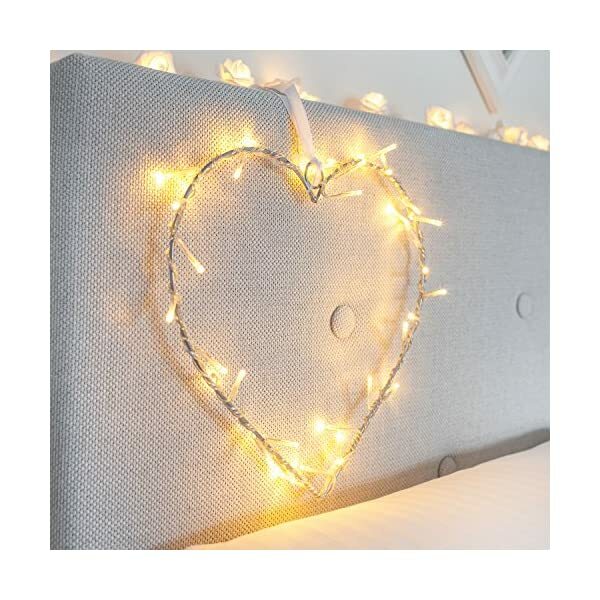 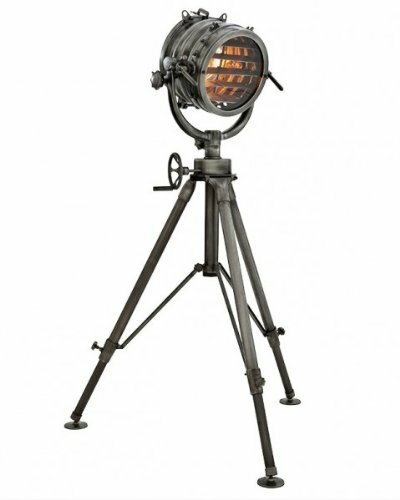 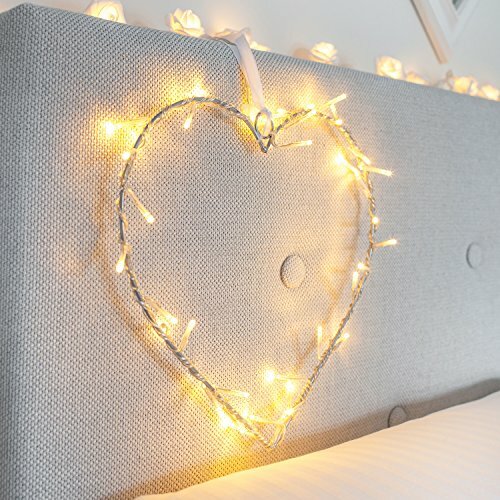 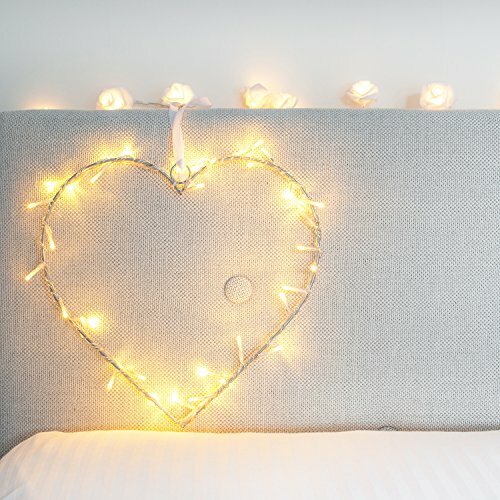 With a brushed metal finish this heart is entwined with 40 warm white LED fairy lights which give a soft cosy glow. 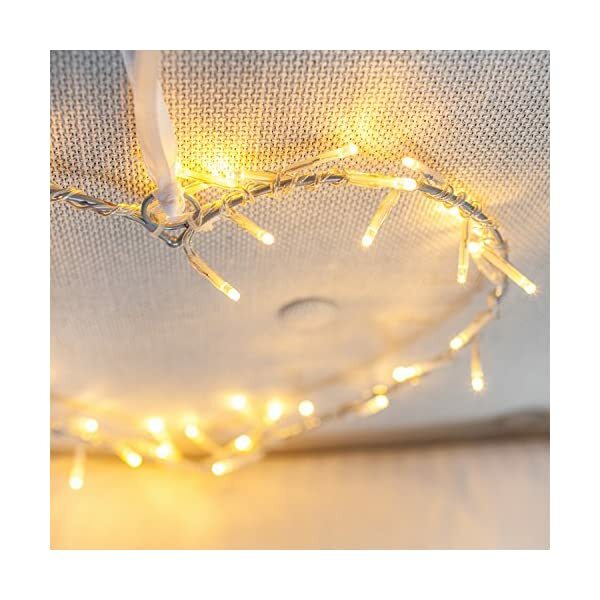 The LED bulbs stay cool to the touch so you can display this wreath against fabrics and funishings and supplied with a low voltage (24v) transformer this light is really safe for use around your home. 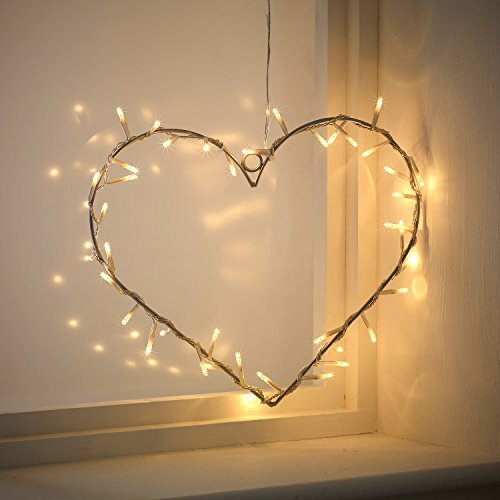 This heart wreath measures 30cm in width and 27cm in height. 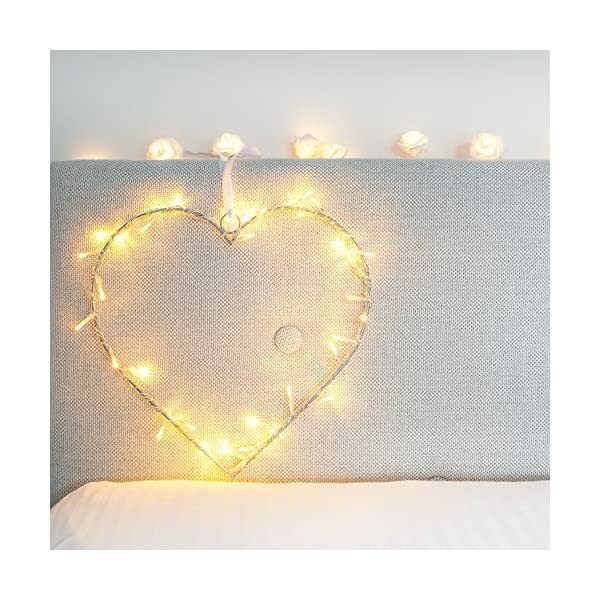 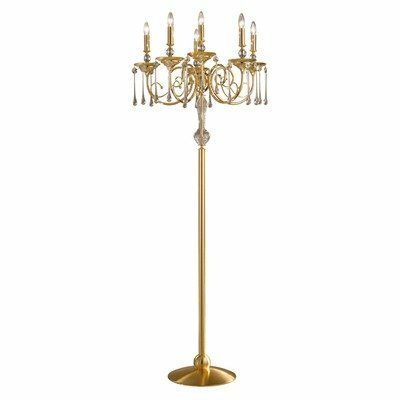 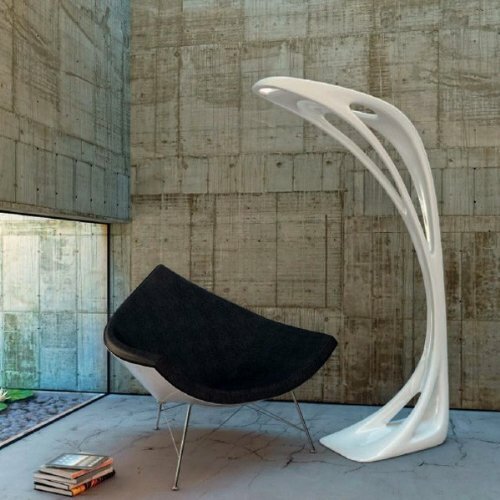 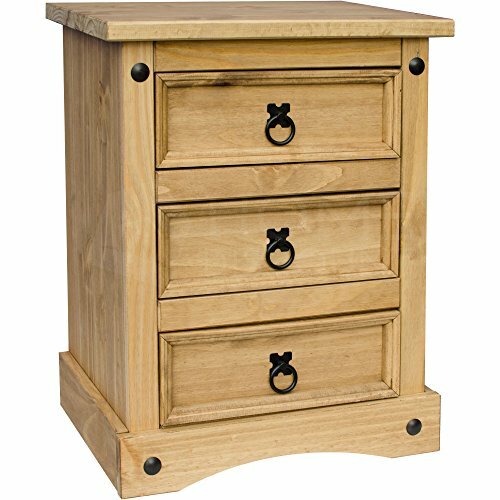 The discreet hook at the top of the heart means you can display it with ease anywhere in your home or venue. 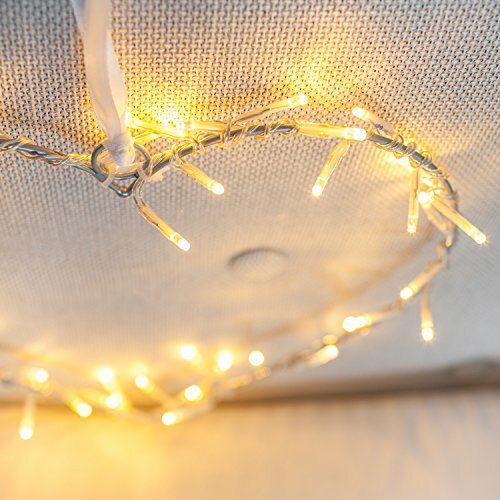 There is also a handy 2.7m discreet clear lead cable from the transformer (plug) for those hard to reach sockets.